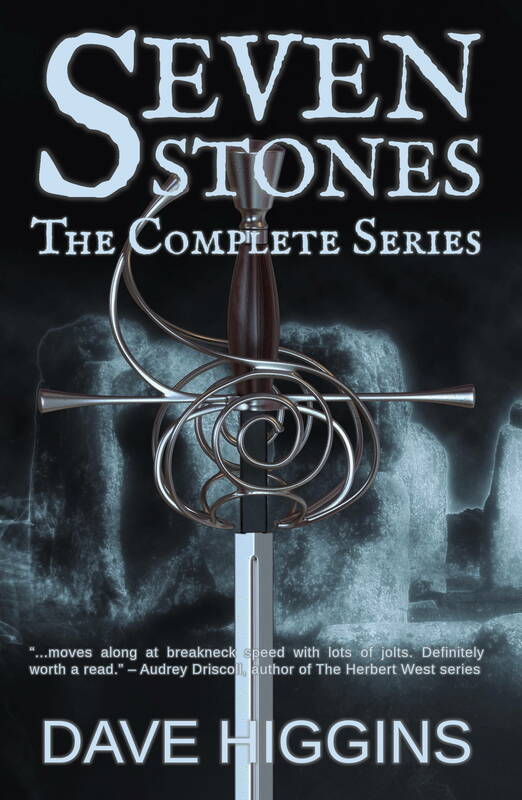 Behold the front cover for Seven Stones: The Complete Series, a compilation of all ninety-seven parts of my weekly swords-and-sorcery serial, soon to be available in paperback and various eformats. The printers sent the proof copy out this morning, so—barring unexpected issues—it will be released this week or next. Nice cover, Dave! I like that sword hilt; most ornamental. And the stones look perfect. It was a nice surprise to see my endorsement right there, along with the reference to my series. Thanks. Glad you like it. I thought it worked well. I’m happy to share this great cover for Dave Higgins’ exciting serial. I binge-read it on his blog a while ago, and heartily recommend it.